Has your boiler stopped working? Is it due for a service or a general check-up? Combi-Nation offers the best quality boiler repair Southampton can provide. Give us a call on 02380 775 666 to book your home visitation now to get the issue sorted as soon as possible. Booking a boiler repair Southampton service has never been easier. Our company is well-established in the area and known for offering a high level of service as well as unparalleled response times. Our philosophy is very simple – it’s all about quality. This extends to our excellent customer service skills as well as the service our multi-talented contractors provide. We will never accept a second class job whether we’re carrying out a boiler repair in Southampton or installing a gas cooker. You can rest assured knowing that our company will never cut corners. We take great pride in the work that we do and are very happy to employ a tightly knit team of passionate experts who will always go the extra mile for you, the customer. 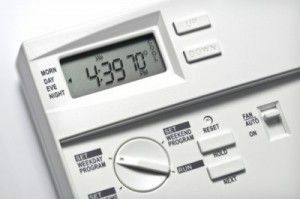 In order to avoid needing a boiler repair in Southampton at a later date, it is recommended to sign up for annual boiler servicing. Throughout the year, deposits will build up inside the boiler due to constant use. Once enough of them accumulate, they will begin to impact the overall effectiveness of the boiler. During a boiler servicing, our team of experts will thoroughly clean the boiler and its parts, remove any deposits that may have built up over time and check for any leaks. We will also inspect flue gases and test for dangerous gases such as carbon monoxide. This process is guaranteed to lengthen the life of your boiler and save you from expensive boiler repair in Southampton down the line. Our testimonials speak for themselves about the effectiveness of our work as Southampton boiler repair specialists. The number one thing to know about us here at Combi-Nation is that we offer a highly personalised service and always put our customers first. You won’t find another boiler repair Southampton company who offers a quality approach and highly competitive prices in the way we do. When compared to other companies who might be offering Southampton boiler repair services, our prices are very affordable and market appropriate. We never hide fees from our customers or increase prices once a quote has been supplied – you won’t have to worry about us ever engaging in aggressive sales tactics or recommending unneeded work. There are several ways that you can get in touch with Combi-Nation in order to book the most effective boiler repair Southampton can offer. You can contact us anytime by calling either 02380 775 666 or 07901 981 090. Alternatively, simply fill out the contact form on our website or send your request in writing over to info@combi-nationheating.co.uk – we will get back to you as soon as possible to confirm a suitable time.